Are mandatory minimums the answer? 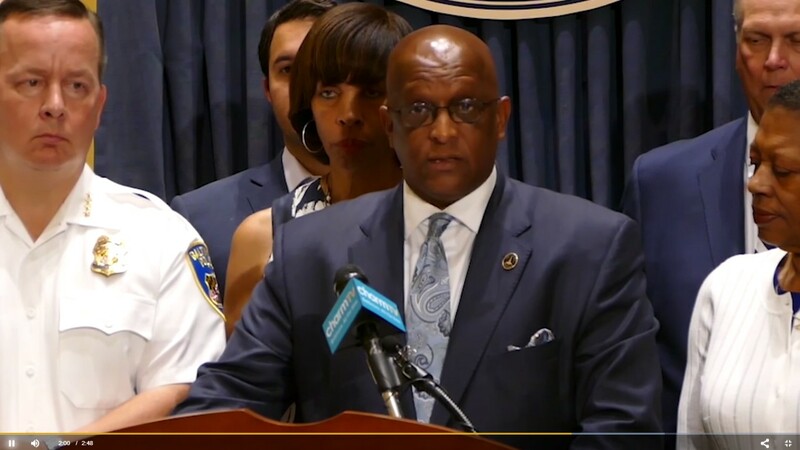 The triumvirate of political leadership in Baltimore City has proposed controversial legislation in their tough approach to address the rising crime and murder rate. 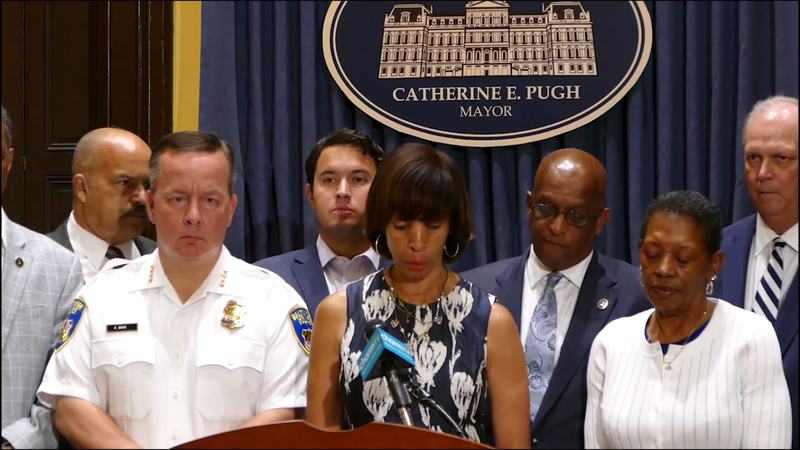 On July 14th, Mayor Catherine Pugh, City Council President Bernard Young and Police Commissioner Kenneth Davis were joined by a group of supporters in announcing the proposed measure. “We are proposing that we will make it a misdemeanor crime punishable by a mandatory sentence of one year and a fine of $1000 for possessing an illegal handgun within 100 yards of a school, church, a public building or a place of public assembly, said Mayor Pugh. She cited the need for the proposal by offering the following crime data: a gun was used in 90% of murders; nearly half of the 184 victims of crime have been arrested for a crime involving a handgun; and in 2016 60% of years imposed through sentencing was suspended. Current state law calls for a 30-day minimum sentence eligible for suspension. Although the mayor contends that this measure is just “one step” – there were several steps taken before this one. For one, the commissioner was unsuccessful last year to get similar legislation passed by the General Assembly. Just last month in apparent frustration, Commissioner Davis announced that every patrol officer, detective, and administrative officers will put on uniforms and begin patrolling the streets in 12 hour shifts. There was also the mobile forensic unit borrowed from the Bureau of Alcohol, Tobacco, Firearms and Explosives for immediate identification of repeat offenders and to build cases for sentencing. Less than a year ago, the Gun Violence Enforcement Unit was created with the mission to get more convictions. At the time, Baltimore State Attorney Marilyn Mosby said: "to ensure the aggregation of intelligence that's extracted from my criminal strategies unit and the Baltimore Police Department is used to not only apprehend and charge, but to convict those who are administering gun violence in the city." In addition, there are the remnants from the former Mayor Sheila Dixon's term in office ten years ago such as GunStat, a gun task force and the gun offender registry. There is also the myriad of issues surrounding the defunct jail system. Meanwhile in light of the current climate around policing, this controversial proposal has certainly ignited debate and criticism. There are op-eds expressing outrage, activists and community leaders are alarmed while media reports indicate that several members of the Baltimore City Council are not in support of the measure. Adam Jackson, the CEO of the Leaders of a Beautiful Struggle (LBS) had this to say about the proposal: “We think this bill is a tremendously short-sighted approach to stemming violence in Baltimore. This “one-size-fits-all” approach leads to severe unintended consequences e.g. targeting those trying to protect themselves as opposed to violent criminals, constructive possession traps innocent people who had nothing to do with the weapon, etc. Jackson continues, “Cases will be pled out to lower sentences not because of weak prosecutors/judges but because of bad policing.” Jackson also pointed out that Baltimore City has not invested in black people around the anti-violence movement in Baltimore, citing examples such as the Baltimore Cease Fire movement, or Safe Streets Baltimore or the Kujichagulia Center. 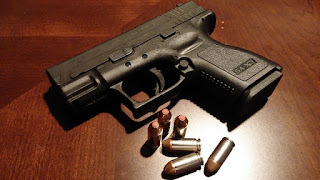 There is an 18 year old, who was recently arrested for illegal firearm possession. He was in a car with two other people, in the back seat when the car was stopped and pulled over. The arresting police officer stopped the car because he smelled marijuana from the car. When the officer searched the car, he found a loaded .22 hand gun under the drivers seat. He was searched and no drugs or weapons were found - nothing illegal at all was found. He was arrested on two counts of illegal firearm possession and denied $10,000 bail despite no criminal history. If the proposed legislation was in place - he would spend a year in jail. What are your thoughts about this case - should he have to spend a year in jail considering the circumstances, i.e., no criminal history, nothing found from search, etc. The initial proposal has been amended to apply mandatory sentences on the second offense with a gun or in connection with violent crime.